The advantage of Pilates is that it can be made as hard or as easy as you like. Pilates can be done lying, standing and seated. So if you can do one of the these things then you will have no problem. Although you will need to find the right teacher who teachers standing or sitting. This blog gives you some guidelines on “Finding the right Pilates class for you” so might be worth a read. Joseph Pilates started developing Pilates in the 1930’s. His focus was “physical fitness is the first requisite of happiness” and this still applies today probably even more so! Physical inactivity is one of the biggest problems of the older generation with premature deaths caused by falls alone. The World Health Organisation says that 37.3 million falls worldwide are bad enough to receive medical attention. You can do something about this. Pilates can help achieve the benefits above by strengthening the core, mobilising the spine and improving balance, all part of the pilates moves that we do! I‘d like you meet one of my clients – Celia. Celia is a 93 year old widow. She has 3 children in their 60’s, lots of Grandchildren and Great Grandchildren that keep her busy. Celia stay’s active by gardening, involvement in village activities and a love of dancing. 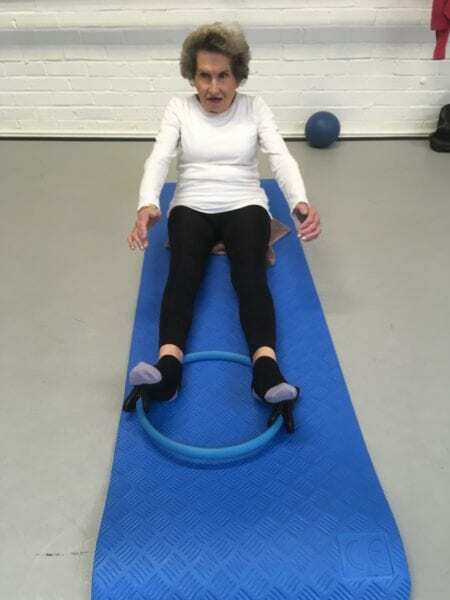 Celia has Osteoporosis and was in a specialised exercise bone loading class when her teacher told the class about a Pilates class starting. This was in London in 2004 and Celia went along and started Pilates. 13 years ago aged 80! Celia moved to Leicestershire in 2006 when she started Pilates with me. What do you enjoy about Pilates? I enjoy the friendly class and most of the exercises! Some of the exercises are modified but still have the same benefit! I also enjoy the company and the discipline with the knowledge that it’s doing me good. You have Osteoporosis do you find Pilates helps with this? Yes I am sure it does. Some things I am not allowed to do but you never let us get away with it and I do something similar and safer. How often do you do Pilates? I go to a weekly class and I try to exercise several times a week. 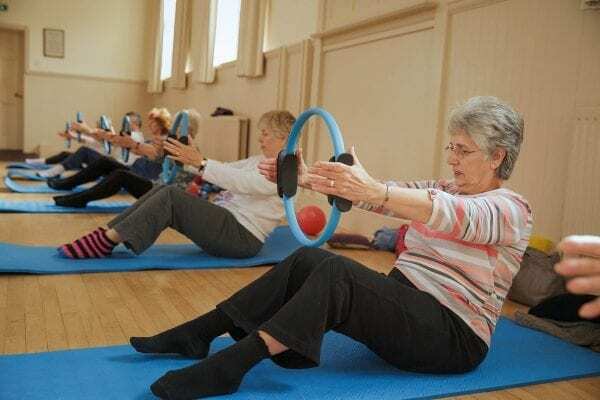 Would you recommend people starting Pilates at an older age? Yes I would. 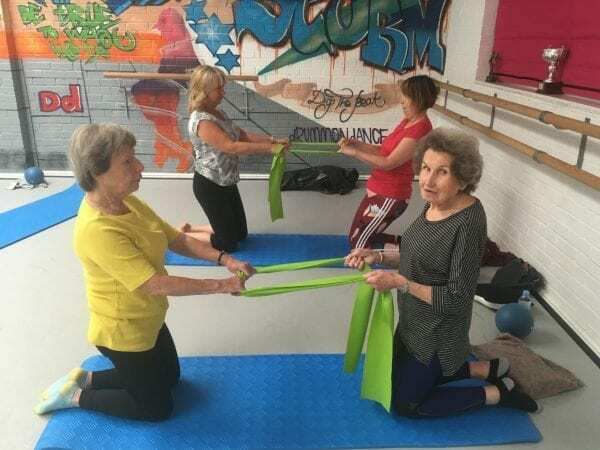 So age isn’t a barrier to doing Pilates. Why not try and find a suitable class near you. online Pilates Videos. We have all levels. PreviousPrevious post:Why do I get cramp when I do Pilates?NextNext post:How often should I do Pilates?